Indeed, I always wonder when I read other people’s dialogues with God where Jesus appears to be a ‘weakling’ (Sorry for this word, Jesus!) who was in dire need of their help. They put words into His mouth and tell you that He asked them several times about their support in fulfilling His plans. Whenever I read such stuff, it makes me cringe! We truly have a loving and meek-minded Lord, but He is LORD! That means He does not go around begging every believer to do this or to do that for Him. Instead, He is a Commander because He is GOD! Dear brothers and sisters, I cannot tell you how much I love this fact about Jesus Christ: He has an authority no human being on earth apart from Him has ever had on their own. I love His authority since it makes me feel totally secure. I know I am protected under His wings and I can trust Him to govern this whole universe without needing help from anyone to do so. We should be cautious to not over-emphasize His humanity and to neglect His divinity. He does not think like we do because He is God. And He does not react like we do since He is without sin. He does not reveal His plans to us, only these parts He wants us to know beforehand (aka prophetic insights through dreams or visions that refer to our own life). For all these reasons, I want to caution against letting Jesus ‘speak’ words that sprung from our own imagination and reasoning. If God really speaks (and most of the time He does not use many words), His words have an effect on us that cannot be denied. Whether we shrink back from Him in fear or if our hearts leap with joy, we KNOW when God has spoken. For instance, confer how the people reacted to Jesus’ words after the Sermon on the Mount. I know I wrote about this Scripture before, however, I wanted to share with you, once again, that Martin Luther in the 16th century translated the verb “astonished” with “terrified”. This wording is much more appropriate, I believe, since it describes the very effect of God’s speaking to my heart I have often experienced over the years. It is not a terror that makes you fear man and what he could do to you, instead, it is a fear that shows you that there is only One Who is in Charge. Every other human being and their influence on you is eclipsed when Jesus reveals Himself as being the Christ, the Son of God, who rules with an inviolable authority in heaven and on the earth. Many hours later, after a not so long night’s sleep I awoke with a headache and then some, BUT also in the presence of God. Dear brothers and sisters, by His grace we might experience that it is truly not so much about our circumstances, it is ALL about HIM. We were created to live in God’s Presence 24/7. May God help us to enjoy this heavenly condition, even here during our life on earth. Amen. Thats beautiful Sue and so very true–Thats also been my experiences with Father–He always speaks to me with only few words and what He speaks brings joy and comfort in the painful situations. 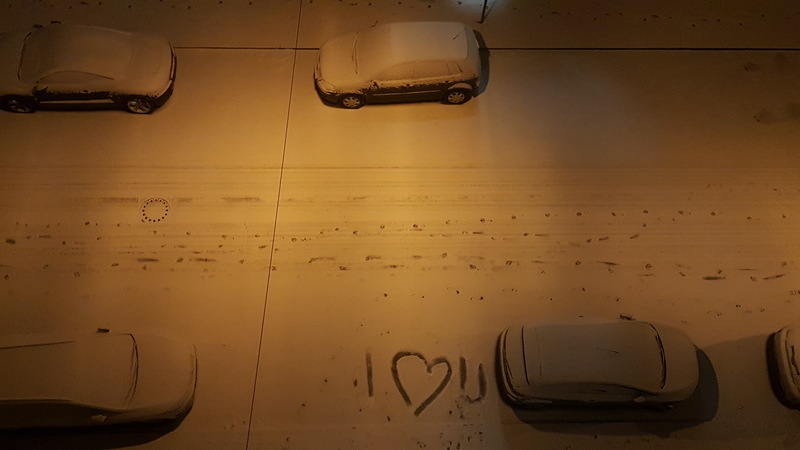 Yea I went back and looked at that picture of the carsparked in the snow and saw that writing in the snow of–I love you–that is incredible! There is no need to link to my blog when you quote me. 🙂 That is wonderful that Jesus told you that He wanted to spend time with you. Besides showing you in the snow how much He loves you, I hope you also felt His warmth in your heart. I was hoping to hear more about your time with him in your blog, but He can be very personal. You are right that all too often He is presented by writers as “Gentle Jesus, meek and mild.” My experience in Catholic churches was the same. The icons depicted Him either as an infant or a man dying on His way to the cross or on it dead. 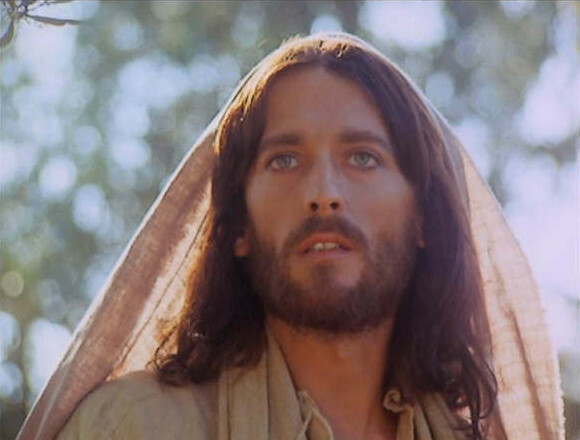 You never saw Him in resurrection power, victorious over the devil, death and hell. I think that we could all stand to understand from personal experience that “it is a fearful thing to fall into the hands of the Living God.” If the 14 years imposed on me in His wilderness did anything, it taught me that. I looked up the Greek word for “astonished” and Luther was right. It literally means to inflict or strike with astonishment. When we hear Him speak to us it leaves no room for debate on our part. I will keep trying to insert the link to your About Page, though. 😉 Yes, there would be more I could write about my time with Him, however, I do not want to cross the thin line of revealing my intimate relationship with God publicly since the sensual, carnal believer might get it all wrong. The spiritual believer, instead, might know what I have experienced. You are right about the church depicting Jesus; it was pretty one-sided, wasn’t it. I only remember Jesus plus a halo and His disciples around, too. Not that thrilling, either. God is not long winded with me either. However, I get very excited when He does speak. Usually He speaks when I am not expecting Him to do so. As Eli told young Samuel to say, ” Speak, Lord for your servant is listening”, may I say to the Lord. You are right, my dear sister, when we are expecting Him to speak, nothing happens. And when we are not thinking about it, He might surprise us. Thanks Sue, I love reading about intimate moments like this. You were blessed to be a blessing! Since you said you love reading about intimate moments, Louise, I wondered whether you have ever seen, for example, these two posts below? It has been so wonderful for me to hear that you have been blessed by God as you reread this revelation our Divine Daddy gave me on that very day back then in 2005. Oh if I would allow myself to listen for that cry and desire more steadfastly. Thank you, Susanne. This was so great and motivating on a deep level. Thanks for taking the time to read this post, David. God knows you have a busy life with job and family so that you do not have much time to spend with Him. So, do not worry about it. He knows your heart and you are precious to Him! Here is the “catch 22” of it all. The more time spent the more it is never enough… I don’t sleep much these days, as the nights are that time to “carve” out that call and answer time. This post quietly invigorated me to not grow weary in that longing to connect more and more and more. You are very welcome as to the reminder, David. As for me, I have become a ‘bad sleeper’, too, so I think I can relate. May God deepen our connection with Him! Amen to that as well! !